This course provides information about how to create, design, manage, and run stored processes from SAS Enterprise Guide projects. Create and register stored processes from SAS Enterprise Guide projects. Run stored processes in several of the SAS platform applications. Knowledge of SAS Enterprise Guide is helpful but not required. You can acquire this knowledge by completing the SAS® Enterprise Guide® 1: Querying and Reporting course. Knowledge of SAS programming is helpful but not required. 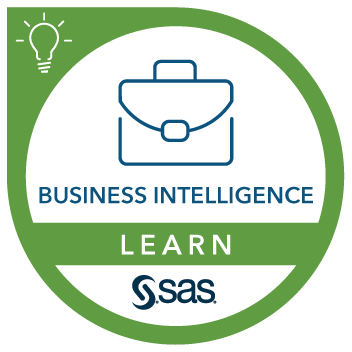 You can gain the necessary SAS knowledge by completing the SAS® Programming 1: Essentials course. To fully exploit the capabilities of stored processes, an understanding of the SAS macro language is helpful, but not required. This knowledge can be acquired by completing the SAS® Macro Language 1: Essentials course. Exploring SAS stored processes and the SAS platform applications. Analyzing data using SAS Enterprise Guide. Reporting on data in SAS Enterprise Guide. Using stored processes in desktop applications. Using stored processes in Web applications. Identifying the stored process program elements. Converting a SAS program into a stored process.